Each single connector boasts high bearing force to withstand over 30t load and high stiffness with only 0.1mm of displacement with a 6t load. Since it can achieve high bearing force without using adhesive agents, it is safe to use with a long-term load. In addition, when used with specialized bolts, it can also exert high ductile strength. 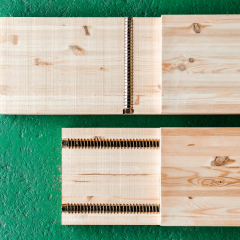 These connectors can accommodate small to large cross-section materials as well as domestic and imported tree types and timber. 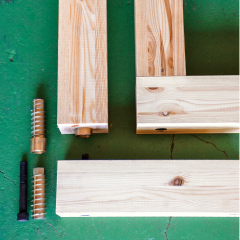 The connectors can be hidden inside timber to realize beautiful joints. They are tested in a variety of trials including a creep test conducted using long-term weight load. They are also certified by third-party institutions. 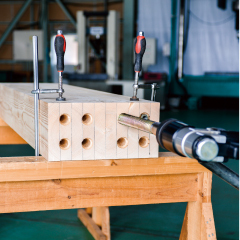 The connectors are precisely pre-implanted into timber at our authorized precut factory. Unlike joins using adhesive agents, they do not require any curing or temperature control at the construction site. They ensure bearing force is achieved with only simple torque control. 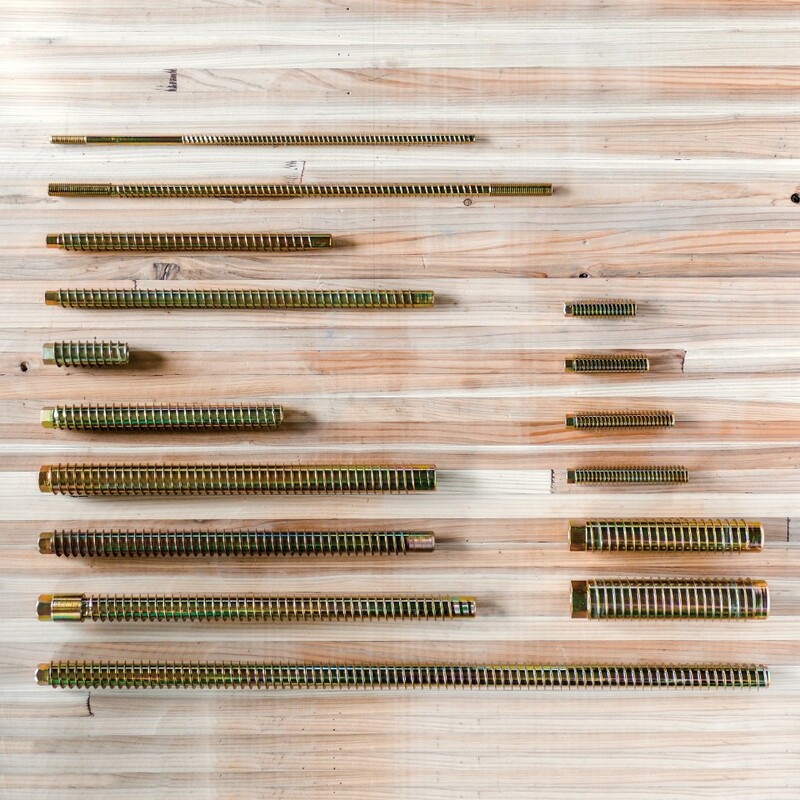 The connectors can be used for joins not only between timber and timber, but also between timber and steel or reinforced concrete. They are also available for cantilevered steps and truss joints.